Below are a number of frequently Asked Questions and answers. When and how do I pay Warriors fees? The Warriors payment structure for membership and coaching fees can be confusing. Hopefully the description below will help. Warriors and LiveWire are in partnership to develop swimming talent in Warrington. LiveWire run the performance squads and Warriors run the development groups. All swimmers must be members of Warriors and Swim England in order to compete and have the appropriate insurance cover while training and competing. The Swim England membership fee is a single payment due at the start of each year or whenever a new swimmer is registered. Please note that Swim England membership fees also include Cheshire County and Swim England North West Region fees. These groups are run by the Warriors and all fees are paid directly to the Warriors. Depending on the date of registration, there are up to four payment dates per year (1st January, 1st April, 1st July and 1st October) or fees can be paid in full when registering. These payments include Warriors Membership fees and Warriors Coaching fees. The initial payment will include the full Swim England Membership fee. These squads are run by LiveWire and monthly coaching fees are paid directly to LiveWire by direct debit. However, Warriors and Swim England membership fees must also be paid and therefore, depending on the date of registration, there are up to four payment dates per year (1st January, 1st April, 1st July and 1st October) or fees can be paid in full when registering. The initial payment will include the full Swim England Membership fee. Warriors membership and Warriors coaching fees are prorated for new members. Association fees are not. One Warriors membership fee covers all family members except for Masters Squad. When a member registers, a deposit of 25% of the total fee or prorated fee plus full Swim England membership fees are required to be paid. Payment of the remaining fee is divided equally across the remaining payment dates. If you are registering after 1st October, full payment will be required. See Swim Manager FAQ for further information. What are the Swim England North West Region & County Fees? Swim England Fees: As an affiliated member of the Swim England North West Region the club is obliged to register all members and pay the appropriate registration fees to Swim England. Swim England reviews and revises fees annually; the club is responsible for collecting these fees on their behalf. Fees are payable in January, or as soon as a new member starts. Please Note: All competitive swimmers who join the Warriors of Warrington Swimming Club should be paying, Category 2, Swim England. Membership. Non-Competitive members should pay Category 1 and Parents and officials Category 3. Swim England fees are payable on Jan 1st every year alongside membership fees and when a swimmer joins the club. The payment is not prorated for new members. Fees for 2018 are shown in the table below. Any questions regarding the fees payable can be directed to the Membership Secretary at membership@swimwarriors.org.uk. Swimmers with dual club membership will also need to complete a dual Swim England registration form, which are available from the Membership Secretary. Swim England fees are always collected from the club with which you have held the longest membership. If you transfer from or to another club, there are specific resignation forms which need to be collected and returned to Swim England. Please contact the Membership Secretary for advice/forms. What can I do if I am unable to pay the fees due to financial difficulty? Financial assistance for fees is available in certain circumstances. If you are experiencing financial hardship, enquiries should be addressed to the Club Secretary. Why do Warriors do fundraising and what is the money used for? Fundraising events take place during the year and are kept to a minimum in order to attract the maximum support for each event. This could take the form of a bag pack or a social event such as a race night. We also raise funds via our shopping portal. - Funding Gala equipment for Warriors Galas. - Subsidising travel expenses to team Galas. Excess money from the above may be used to contribute towards overall costs in order to keep swimmers fees to a minimum. How do I complete the membership form? The Head Coach will send you a link to the on-line membership system where you will complete the on-line registration form and pay club membership fees, Swim England (ASA) membership fees, and where appropriate Development Group training fees. There is no paper membership form. Who do I inform if my child is leaving? If your swimmer is in a LiveWire squad you must remember to cancel your monthly direct debit for LiveWire squad training fees. This is not the responsibility of the Warriors and has nothing to do with the club. You will need to fill out a cancellation form at a LiveWire reception. Do not cancel your direct debit without doing this as you may receive a letter from a debt collection agency. How is the club structured? Entry to Warriors of Warrington Swim Club is usually via “Swim Link”. This is a talent identification programme aimed mainly at the 7 - 10 year age group. Every ten weeks, the top children in this age range on the Borough Council Swim Programme will be invited to take part in Swim Link, in addition to their session at their own centre. Swimmers wishing to join Warriors from outside the Borough Council Swim Programme must attend a trial to assess their capabilities. Trials are held every three months at Fordton Leisure Centre, details of which are published on the website. Most swimmers accepted into Warriors from Swim Link enter Development and level 2, Improvers (Levels 3 / 4). Progression is then into levels 5 & above depending on age & ability. Trials are held regularly for entry into the W.B.C Elite Training Scheme (B2 squad & above) for swimmers in Levels 4 upwards. What is the criteria for moving up through the levels & squads? Based on the required attendance %. As swimmers develop through the groups the required attendance will be higher. Only swimmers who have achieved this % will be considered for move-up. Based on the Coaches’ professional judgement and discretion. As well as move-ups that link with the Warrington Borough Council Elite move–up programme, in April and July, there will be a rolling programme i.e. if a space appears in any group, the most appropriate swimmer on the above assessments will move up from the group below. What can parents do to assist with their swimmers development? The role of a parent is one fraught with difficulty. Your role is to help the swimmer enjoy his or her sport as much as possible and to become the best they can be. Remember – swimming is a process. Your children are there primarily to enjoy the sport. As they swim, they will learn some of the lessons of life. They will learn discipline, commitment, motivation, team work, goal setting, how to stick to the task in hand, how to win and how to lose, in a safe, enjoyable environment. - Do you want your child to win more than she/he does? - Do you show your disappointment if she/he has a bad result? - Do you feel that you have to “psyche” your child before a competition? - Do you feel that you child can only enjoy sport if she/he wins? - Do you conduct ‘post mortems’ immediately after competitions or training? - Do you feel that you have to force your child to go training? - Do you find yourself frequently wanting to interfere during training or competition thinking that you could do better? - Do you find yourself disliking the competitors swimming against your child? If you have answered yes to any of these questions, you could be putting unnecessary pressure on your child which could lead to his/her eventual rejection of the sport. - Remember, coaches are the only constants in swimming clubs. They see parents and swimmers come and go. Year after year, parents across the world take their children to their local swimming club, expect miracles, don’t get them, blame the coach, scream, shout and leave. - Get to know the coaches and respect the coach’s opinion – they may know more than you about swimming and the development of young swimmers. If the coach puts little Johnny in front of your child in the lane that day, there is a good reason for it. Before being critical of the coach, imagine yourself at work and the coach and all the parents watching your every move, taking notes and then telling you they have figured out how you should be doing your job and then telling everyone else. Give the coach the same respect you would expect yourself. - It is very important that you never coach from the poolside, either in training or at a competition. It will almost certainly be contrary to the instructions of the coach and will confuse your child. Never take a Stopwatch on the poolside during training sessions. - Always be patient. Your child will be under enough pressure to perform without the burden of your expectations as well. When your child has a bad result or makes a mistake, give them the time to work it out for themselves what went wrong. Never respond to poor results with punishment or criticism. Instead, always show that you still value your child when they lose. A fair reward for a good performance can be very positive but never resort to bribery i.e., like giving money or a new swim suit if they win. - If you can’t deal in a mature fashion with the ups and downs swimming will bring, how on earth can you expect a child to do so? What training equipment does my swimmer need? Any good quality costume will suffice, but many swimmers wear “endurance” costumes for training. These are slightly more expensive to buy but are much more resistant to chlorine so keep their shape better and last much longer than ordinary costumes. Many swimmers prefer to wear a hat to protect their hair from the drying effect of the chlorine in the water. Hats are made of either latex or silicone. Latex hats are thinner and more liable to rip than silicone but have the advantage of being cheaper. Fins - 1 pair (all groups). It is recommended that all swimmers in level 1 and 2 should purchase long fins. Swimmers in levels 3 and above who need to buy new fins should purchase short fins. The most popular kickboards are the large ones with two cut-outs that are used as hand-holds. This is held between the legs to support the swimmer when practicing “arms only” drills to improve a swimmer’s technique. All the above may be purchased from the Swim Shop. See the swim shop section later in this pack. Please email swimshop@swimwarriors.org.uk for availability of kit and Swim Shop opening times. The Swim Shop team can often arrange to meet you on pool side with your order. What good drinks and snacks are best for the swimmers? It is recommended that swimmers have a drink (water/juice) with them during training, to avoid dehydration. Glass bottles are not permitted on poolside. During exercise glycogen stores (sugar stores in the liver & muscles) are used up. After training or competition it is important to start to replace these stores as soon as possible otherwise these stores can become depleted resulting in fatigue and lack of performance. Research has shown that the best time to start refuelling is within 30 mins of completion of the exercise. This means before leaving the venue to travel home even if due a meal. When we exercise the body switches off the hormone insulin. This hormone stops blood sugar rising and transports sugar, so it can either be used or stored by the body. Insulin is vital in the laying down of your sugar stores so it needs to be turned back on. This can be achieved by consuming a high glycaemic index carbohydrate such as fresh juice backed up with a medium to low glycaemic index food such as a cereal bar. These are easy to transport with you to your training venue. Chocolate is not advisable as it is high in fat. Like all athletes, swimmers need to ensure that they are eating a healthy diet or they will not perform to the best of their ability. This is true both for training sessions and for competitions. Swimmers attending an external gala which may mean that they are on poolside for a number of hours, need to take particular care that they eat the right foods both before and during the gala. This means starting the day with a high carbohydrate breakfast e.g. cereal and milk, toast, banana etc. Snacks during galas should also be based around carbohydrates, especially the complex carbohydrates which are more difficult for the body to convert into energy and therefore give a more sustained energy boost. The simple carbohydrates, sugars, are more easily converted into energy and give only a short, sharp energy burst leaving you hungry and tired very quickly. How often have you grabbed a chocolate bar when you are feeling hungry only to feel hungry again half an hour later? A banana is a much more sensible snack than a bar of chocolate for this reason. Other ideas include rice cakes, crackers, fruit bars, dried fruit and bread. It is advisable to eat 45-60 minutes before swimming if possible. Swimmers should also ensure that they do not become dehydrated during galas. Once you actually feel thirsty, dehydration has already begun to set in. It is important to get into the habit of drinking a little often. What you actually drink is a matter of personal taste but water and diluted fruit juices are far better than sweet fizzy drinks. There are also a number of commercially produced sports drinks on the market. It is interesting to note that scientific tests have shown that athletes who eat and drink sensibly before competitions stand a better chance of performing successfully. This will only be developed in training sessions. It is important for a swimmer to attend as many training sessions as required by their Coach. There is a minimum attendance required for each group / squad. WE TRAIN TO COMPETE; WE DON’T COMPETE WHEN WE TRAIN. Are there any restrictions on spectating? Seated spectator areas are available at Orford and Woolston Leisure Centres. Their is limited viewing at Broomfields Leisure Centre. Why are only some swimmers permitted to dive? It is the Swim England policy that swimmers should not be permitted to dive from a starting block at a maximum height of 500mm from the water surface into water of a maximum depth of 0.9m. until they have demonstrated an ability to execute a shallow racing dive into water of at least full reach depth, in a consistent fashion. - A shallow dive with glide of at least 5m. - A wind-up start followed by a shallow dive and glide. - A grab-start followed by a shallow dive and butterfly legs. - A grab-start with breaststroke phase to surface. All of the above have to be performed from a deep end with no block and then deep end with block, also from poolside in shallow end and block in shallow end. The backstroke start must also be performed with a minimum of 5m underwater. At galas, only swimmers who have achieved their diving certificates may start their races on the blocks. Those who have not, must start the race by pushing off from the side. Swimmers will take their dive certificates in Levels 3 /4 depending on ability. What is a PB Sheet? A “personal best” sheet is your child’s record of best achievements in galas in each stroke and distance. All licenced meet times are available HERE. Enter your swimmers Swim England number or search by family name. Unlicenced Badge Gala times do not appear on this list and a record should be kept of there by printing off the results from Badge Galas. Both licenced and unlicenced times can be used for Squad Times. Why are swimmers sometimes disqualified? The ASA (Amateur Swimming Association) lays down technical rules for how swimmers should start and finish races, how turns should be performed and how each of the recognised strokes should be executed. Any swimmer failing to swim according to these standards will be disqualified. The best person to advise on each of these is your swimming Coach. Although it can be upsetting for young swimmers to find themselves disqualified from a race, it is important not to become disheartened – it happens occasionally at all levels of competitive swimming, even to world champions! The important thing is to find out the reason for the disqualification from the judge or your coach and learn from the experience. The rules on fouls cover a whole range of possibilities, but it is sufficient to note at this point that a foul is defined as any action which results in another swimmer suffering an unfair disadvantage. Anyone wishing to study the technical rules in detail should consult The Extract of Swim England Law and Swim England Technical Rules. Is there a glossary of terms I'm likely to encounter? Swim England - This is the new mane for The Amateur Swimming Association (ASA), the governing body of swimming in England. Swim England North West Region - England is divided into 5 districts for administrative purposes. Each district runs it’s own championships and governs swimming in its area. Cheshire A.S.A. - The Northern Counties is sub-divided into county districts. Each County Association operates it’s own championships. L&D - Liverpool and District. Another sub-division of Northern Counties. They run their own championships. It is through the L&D Age Group championships that swimmers qualify for the Inter Association Age Group Competitions where they compete with qualifiers from other districts. E.S.S.A. - English Schools Swimming Association. They run team championships in the first weekend in October and individual championships during the last weekend in October. Short Course - Any competition, which takes place in, pools less than 50 metres in length. Usually in a 25 metre pool. Long Course – Competition, which takes place in 50 metre, pools. All major competitions e.g. Olympics, World Championships take place in 50 metre pools. National Championships – The ASA runs a National Long Course Championships (July), National Short Course championships (December) and National Age Group and Youth Championships in July and August. Qualifying Times – All competitions we enter have a qualifying time set by either the organisers or by Warriors. Competitors must achieve the qualifying time at a recognised competition before entering the particular event. Open Meets – These are competitions run by clubs, which is open to entry, by any swimmer who has achieved the qualifying time. The Warriors decides on the Open Meets its swimmers will attend. Should a swimmer wish to enter a meet, which is not on the club’s recommended list, permission to enter the meet must be obtained from the Chief Coach and the Executive. P.B. – Personal Best Time. Each swimmer will have a best time for each event. The time will differ between Long and Short Course swimming. Short Course would usually be faster because of the advantage gained from turns. NQT – National Qualifying Time. Swim England used to set qualifying times for all events at their championships. This is no longer so and British Swimming now set a qualifying window, usually from beginning of March to end May, for all National and British championships. Unfortunately Children loose hats goggles & T-shirts frequently at training and galas. For kit lost at training please ask the centre staff if anything has been found and fellow swimmers, as it is likely it has been accidentally picked-up. If this fails please email sitemanager@swimwarriors.org.uk and ask for an email to be sent to members. Kit lost at galas is usually collected and an email sent out. If kit is not claimed within 2 weeks it is disposed of. Who should I talk to if I have a query about my swimmer's performance or progression? In the first instance you should contact the coach who takes your swimmer’s group. They are in the best position to provide feedback on performance and progression. However, if they are not able to answer your queries to your satisfaction, please contact Darren Ashley (Head Coach) via our contact form or email headcoach@swimwarriors.org.uk. Sport is about competing and performing to the very best of your ability. If you use prohibited substances or methods to enhance your performance you are cheating yourself. If you can’t win without using banned substances or methods, then you are simply not good enough to win. You must also be very careful that you don’t make a mistake in taking a banned substance. Many common medications contain prohibited substances so you should always check if your medication is banned or permitted. You can do this by using your advice card or information from the UK Anti-Doping site. January 2016. Swim England members are no longer required to complete the form and forms no part of doping control at any event. For the statement and further information please click HERE. Do I need to notify anyone of medication taken by my swimmer? It is a requirement of our doping procedures for all swimmers registered to take part in open competition, and who take regular medication for asthma, to send these details for inclusion on their registration record. It is important therefore that clubs ensure that members are aware of this requirement. In addition to this it is now a requirement of FINA that information is notified to the Governing Body regarding medical conditions requiring the permanent use of a banned substance where there is no other substitute. As these conditions are less common (see list below) there is no general form to complete for this notification. Following the receipt by the Governing Body of a medical certificate, a dispensation to swim in competitions up to National level may be given. Information will be issued on an individual basis including details for applying for dispensation to compete in international competition, which requires further approval by the FINA Doping Control Review Body. Swimmers or their parents should send the medical certificate, which must clearly indicate the name and address of the swimmer and their doctor, to the address below in an envelope marked “Notifiable Medication”. Notification must also be given on any other medical conditions requiring the permanent use of a banned substance where there is no other substitute. A copy of the ASFGB Doping Control Rules, are available on request from the ASA Customer Services. FINA and the IOC ban some asthma medications because they contain anabolic agents and/or stimulants and they require that all swimmers declare any asthma medication that they are taking. There are certain medications which are acceptable for controlling asthma and it is important therefore that ASFGB is sure that a swimmer is taking an approved medication and that they are using this for a legitimate purpose. In order to ensure that our information is current, the swimmer is required to complete a form each year. Swimmers should be aware that they must complete a new form if there is any change, at any time, in their medication. It is not possible to keep asthma details for swimmers who are not registered competitors, so forms should not be submitted for Category One members who are not yet able to compete in open events and whose individual details are not therefore registered. It is important that all swimmers who compete in open competitions are aware of these requirements and if they are taking medication for asthma understand the importance of completing the form. This is a responsibility that which falls to clubs – ignorance is no defense against a positive doping test. Completed forms should be returned by the swimmer or their parent directly to the address below, in an envelope marked “Asthma”. Additional Asthma forms are available from the Swim England Registration Department. Any queries regarding medication should be directed to Dr David Hunt, Tel: 01773-872865, Fax: 01773-590979 or e-mail david@huntdr.freeserve.co.uk. If you have any queries regarding the administrative procedures, please contact Swim England Membership services department 01509-264357 or customerservices@swimming.org. What are Badge Galas and how are they run? All swimmers are encouraged to take part in Warriors Badge Galas. Times are recorded and are used in selecting swimmers for inter-club Galas, to help coaches monitor the swimmer’s progress through the classes/squads and can also be used to enter some external galas. Junior Badge Galas comprise of 25m and 50m events only plus 100 IM. A maximum of 3 events can be chosen. Badge Galas are held at ORFORD JUBILEE HUB. A maximum of 2 events can be chosen. The length of the pool is 25 metres, so 25m freestyle is 1 length, 50m is 2 lengths and so on. Please ensure the swimmer can complete the distance in the stroke chosen. There is nothing more soul destroying than a new swimmer not being able to complete the distance. Please ask and take advice from your coach. On arrival at the pool, get changed and wait in the changing room until called onto the poolside by the Team Manager. Aim to arrive about 15-20 minutes before the advertised warm-up time to give yourselves plenty of time to settle in. Sit down on the poolside where you are shown to sit. The Team Managers and helpers on the poolside will help you with the warm up. Once the warm up has finished, sit down and listen for the Team Managers to call your name for your race. If you need to leave the poolside, let them know. If you are not there when your name is called to go for your race, you might miss it. The Stewards will show you where to sit while waiting for your race to start. If you need to leave the poolside or have finished all your events and are going home, let the Team Manager know you are leaving. If you have any problems at all, the Team Managers are there to help you. Make sure you eat, drink and keep warm between events. Please do not leave any litter on the poolside. The officials are not allowed to tell you how well you have done. A list of all the results will be posted on the poolside and the wall opposite the squash courts as soon as possible after each event has finished. If you earn a badge, these can be bought from the spectator’s balcony. Don’t forget to bring your blue/yellow cards with you. If you don’t have a badge card, they will be available on the day. The volunteers on the Badge Table will be able to answer all your queries regarding times achieved and badges earned. Above all, have fun and swim well! Don’t take it too seriously, it’s meant to be fun! What do I need to know about Competition Galas? Competition Galas may be either Internal Galas such as Badge Galas or Club Championships where the only competitors are members of Warriors, or External Galas, where Warriors compete against members of other swimming clubs, either individually or as members of a Warriors team. This is a competitive club and swimmers are expected to attend internal and external galas. Only swimmers aged 9 years and above are allowed to swim at licensed galas (see External Galas for explanation of licensed meets). Swimmers of any age can compete at badge galas. Each year Warriors also host a gala at Orford, the Percy Mason Memorial Gala, where all clubs from the North West are invited to swim. Team selections are the responsibility of the Chief Coach of Warriors, who uses the Warriors Ranking List to select swimmers to represent the club. If your child is selected, please reply to the number or email address given to indicate their availability. The Chief Coach must be informed as to the reason a swimmer is unavailable. Team selections are displayed on the website. The coaching staff do not decide which events you can enter as an individual at galas but are there to advise. A list of approved galas is published each year in the Competition Calendar. When selected to represent the Club at Team galas, swimmers must wear Warriors costumes/trunks, swimming hat and T-shirt. A Warriors swim cap is essential as is a poolside top in club colours. All kit is available to purchase from the Swim Shop at Woolston and also at all Home Galas. When swimming at Badge Galas or the Club Championships, Warriors kit is not necessary. If selected for an external team gala (not an individual gala), transport may be provided. Swimmers must travel with the team on the team coach. Parents may also travel on the coach, subject to places being available. There is a small charge per parent towards cost, no charge will be made for swimmers. There is a Warriors’ mobile phone which travels with the Team Manager, and may be used to contact the Team Manager in an emergency. The number will be posted on the website. Individual times achieved by swimmers at all approved Galas are automatically entered onto the Warriors database, from which Ranking Lists and P.B. Sheets are produced. What are the different types of internal galas? Badge Galas are a good introduction to competitive, timed swimming. They are an opportunity for swimmers to put into practise everything they have learned during training. Swimmers can earn badges ranging from Endeavour 1 up to Platinum depending on how fast they swim and how many times. They are open to all Warriors members regardless of age or ability. There are four Badge Galas in the year which are currently held at Orford Park. There is also an extra Badge Gala for junior swimmers (11 years old and under). Entry to Badge Galas is free for swimmers and entry forms are available to download and print from the website several weeks before the gala. Swimmers should consult their coach for advice on which events to enter. As Badge Galas are usually the first gala a swimmer will enter, a more detailed description of Badge Galas is given later. The annual Club Championships are held in October, over one weekend. This is a level 4 licensed meet. If a gala is licensed it means that all personal best times achieved will be posted on the British Rankings database and can be used to enter future galas (www.swimmingresults.org) to search for your swimmer’s times and rankings. Depending on their ages, swimmers compete in a number of events against those of similar age. BAGCAT Points (www.swimming.org for an explanation) are awarded to the swimmers. Medals are awarded to the top 3 swimmers in each event and for each age group on the day of the swims. The top overall swimmer in each age group receives a trophy & the top 6 overall in each age group are presented with medals. We hold a Presentation Night & Disco in December. Please note that in order to enter 50m plus events you must be confident at swimming the distance and stroke. If the stroke, turn or finish is incorrect, the swimmer will be disqualified. This is our hugely popular annual event where Warriors invite clubs from all over the North West to swim at Orford. This gala is usually held in November. It is a level 3 licensed meet. It is one of the few galas in in the competition calendar which awards medals to the top 6 swimmers in each age group in each event. This gala is open to all Warriors members aged 9 years and above, but there will be an upper qualifying time limit, which means that if a swimmer holds a time faster than the upper limit advertised, they will not be allowed to swim. This is usually held one evening towards the end of the year. This is a level 4 licensed meet for all Warriors members aged 9 and over. This is an excellent opportunity for swimmers to attempt their first distance swim of 800m and 1500m. How can I earn badges at internal galas? Badge Galas are run according to A.S.A (Amateur Swimming Association) rules and so prepare young swimmers for competition in external galas. Once the swimmer has completed their events, their times are recorded and a list is placed on the poolside wall and the wall opposite the squash courts, showing the times achieved in their events. (The computer team get these results out as quickly as they can, so please be patient) This list is split into categories. Swimmers who have achieved Platinum, Gold, Silver or Bronze times need to get their times recorded on their personal record card. Swimmers who did not achieve these times will need to try again at the next Gala. Personal record cards can be obtained from the volunteers at a desk on the seating balcony, where they also record the times and issue the badges. Please note that in most sections two, or in some cases three times are required to obtain a badge. These two times must be the same stroke, but at different distances. For example, to earn a Bronze breaststroke badge, you would need to achieve a bronze time in 50m and 200m breast or 100m and 200m and so on, so it will quite often take two or more galas to obtain the required times. Times achieved at other galas can be used to obtain badges at Warriors Badge Galas. Just bring along proof of your times (using the rankings database at www.swimmingresults.org is easiest). Although all this seems quite complicated, please do not be put off. Remember it is in the swimmers best interest to take part and there are always people around who you can ask if you are not sure about any of the above or you can contact us via the website. All officials on poolside and on the balcony are unpaid volunteers, and have free entry to the Badge Gala. Parents and friends are always needed to help. So please come along and volunteer your services. REMEMBER …BADGE GALAS ARE FUN - GOOD LUCK! What is the procedure for entering an external gala/championship? All gala details are posted on our website. Check through the information including qualifying times, conditions of entry, schedule of events etc. and then print out the entry form and complete making sure you enter events for which you have times for. You will need to write a cheque, made out to Warriors of Warrington SC. The medical declaration form will also need to be completed. Put everything (entry form, cheque and medical declaration form) in an envelope marked for the attention of ‘External Galas’ and post in either of our postboxes at Sankey or Woolston by the closing date. The closing date will be on the entry form and our website. Which external galas do we take part in? For swimmers age 9 to 12 years - This competition is held around the North West of England. There are three rounds usually held in February, March and April, with the final in September. For swimmers age 9 to 12 years - This competition is held around the North West of England. There is one round usually in July with the final taking place in September. For swimmers aged 9 years upwards - There are two rounds in October and November and a regional final in December. There are a great many Licensed Meets held across the country each year. The Warriors’ Chief Coach selects a subset of these to make up the Warriors Yearly Competition Calendar which can be found on our website. We also have a section on our website dedicated to galas which gives details of each gala and which groups/squads should be entering them, a swimmer’s coach can also advise on which meets each swimmer should enter. If a swimmer enters a meet that isn’t included in our Competition Calendar, their time will not be added to the Club’s computer rankings list. Swimmers under the age of 9 are not permitted to enter Licensed Meets. I am a disabled swimmer. What galas/championships can I enter? Our classified disabled swimmers can enter all of the galas/championships we compete at. Quite often, you do not need to have achieved a qualifying time but there may be special conditions you need to adhere to which are always outlined in the gala information pack. The gala information pack can be found under each gala posting on our website. How are swimmers selected for team galas? Team selections are the responsibility of the Chief Coach of Warriors, who uses the Warriors Ranking List to select swimmers to represent the club. Individual times achieved by swimmers at all approved galas are automatically entered onto the Warriors database, from which ranking lists and P.B. Sheets (see separate section) are produced. A list of the chosen swimmers will be displayed on our website about two weeks before the gala. If your child is selected, please contact teamgalas@wowsc.org.uk to confirm their availability. The Chief Coach must be informed as to the reason a swimmer is unavailable. When selected to represent the Club at Team galas, swimmers must wear Warriors or black costumes/trunks, Warriors yellow swimming hat and T-shirt. If selected for a team gala for which transport is provided, swimmers must travel with the team on the team coach. Parents may also travel on the coach, subject to places being available. There is a small charge per parent towards cost, no charge will be made for swimmers. Individual times achieved by swimmers at all approved Galas are automatically entered onto the Warriors database, from which Ranking Lists and P.B. Sheets (see separate section) are produced. To enter level 2 meets, swimmers need to have achieved a minimum qualifying time previously, usually at licensed meets, but occasionally our Badge Gala times will be accepted. Level 2 meets are swum in 25m pools, short course. Times achieved at these meets can be used to enter Regional and County Championships. For level 3 meets, there are no minimum qualifying times but there are upper limit entry times i.e a swimmer should not be faster than the upper time. They can be 50m (long course) or 25m (short course) meets. Swimmers can use times achieved at Badge Galas, and on occasion training times, to enter these competitions. Times achieved at level 3 meets can be used to enter Regional, County, Level 1 and Level 2 galas. To enter a level 4 gala, swimmers do not need to have achieved times at a previous licensed meet. They can use those times but they can also use coaching/training times, Badge Gala times or even ‘NT’ (no time). Times achieved at level 4 can be used to enter County Championships or Level 3 meets. What Championships do Warriors take part in? Held in October each year at Huyton Leisure Centre, for swimmers who are members of clubs in the Liverpool and District area only. The top six swimmers in each age group all receive awards with first, second and third placed swimmers in each individual event awarded gold, silver and bronze medals respectively. Medallists in some events are selected to compete for the Liverpool & District team in the Inter-Association Gala in November against teams from other Districts. Held each year at Macclesfield and Liverpool Aquatics Centre, for swimmers who are members of clubs in Cheshire only. To enter an event a swimmer must be aged 10 years/over and have previously achieved an official time at one of the designated galas held around the country. Some swimmers with slower times may be rejected if the event is over-subscribed. Medals are awarded to the top three girls and boys of each age in each event. Swimmers who do well at the Cheshire Championships may be selected to compete for the Cheshire County team at various County Galas during the year. Every year the North West Region hold an Open Championships in December and a combined Age Group and Youth Championships in May/June. To enter these galas it is necessary to have previously swum a qualifying time at a designated gala such as the Cheshire Championships or certain licensed meets. These Championships are usually held in the 50 metre pool at the Manchester Aquatic Centre or Liverpool Aquatics Centre. These Championships are held annually in late July/early August, usually at Ponds Forge in Sheffield (50 metre pool). Swimmers aged 13 years/over (age at 31st December in year of competition) must have achieved qualifying times at designated meets within a set period of time. The top 16 swimmers in each event who don’t achieve qualifying times for the British Summer Nationals will be invited to compete at their Home Nation Nationals. These Championships will be held annually in July, usually at Ponds Forge in Sheffield. What are the responsibilities of team managers? Team Managers are parents who have volunteered to take on that role for a specific gala. These notes may be of use to anyone who has not been a team manager before. They are not meant to be patronising but an attempt to ensure that we are aware of the role of the Team Manager. - Team Managers are responsible for the behaviour of the swimmers when they are on poolside. - Swimmers should not leave the poolside unless they have asked and been given permission to leave and must return in time to race. - It is the responsibility of the Team Manager to collect heat sheets and inform Warriors swimmers of the heat and lane they are in for each event entered and to send them to marshalling in good time for their event. - If possible, particularly if there is no coach, swimmers should be timed and at the end of every meet, a full set of official results should be collected. If results are not ready from the final sessions, please request that results are sent to the Warriors of Warrington Club. - Encourage swimmers to place their rubbish in bins/bin bags or their own bags i.e., keep poolside tidy. - If a Team Manager has any concerns about any incidents or problems that have occurred on the poolside, they should complete a Warriors Incident/Accident form, found in their Team Manager folder. A Team Manager report should also be completed for each session of the gala. Please note that following ASA Child Protection guidelines the Club will ask all poolside helpers to complete an ASA DBS check. Please contact the Welfare Officer for a form or further information. What happens on the day of the gala? If you are going to be at a gala for most of the day, you will need to make sure that you have enough drinks and snack/food to keep you going! Arrive on poolside, in your swimming kit, about 15 minutes before the start of warm up and make yourself known to our Team Managers who will tick your name on the register. Your Team Manager will tell you when to start warm up. After warm up, your Team Manager will tell you which heat and lane you will be in for your event. When it is time for you to go for your event the Team Manager will direct you to ‘marshalling’, officials will then show you where to sit and, eventually, to the start end of the pool. You should then go to your lane where a time keeper will be sitting. The time keeper will check your name on their heat sheet to make sure you are in the correct heat/lane. You must wait for the long whistle blast before stepping up onto the blocks (or getting into the pool for a backstroke event, or if you have not achieved the Competitive Start Award and therefore have to start in the water). Once the long whistle blast has sounded, it is important for ALL those on poolside to be very quiet, otherwise it will be very difficult for swimmers in the current heat to hear the starting signal. The starter will say ‘take your marks’ and will then fire a gun or sound a buzzer. In the event of a false start, the gun or buzzer will sound again and you should return to the starting end of the pool and climb out. You must once again wait for the signal to climb onto the blocks. At the end of your race, it is important that you wait until you are told to climb out of the pool as at many meets, a system of ‘over the top starts’ will be in operation. This means that swimmers from the previous heat remain in the water close to the wall while swimmers in the next heat start their race. Once you have left the water, do not wander around at the starting end of the pool. This can be very distracting for swimmers and officials. Once the long whistle blast has sounded for the next race, anyone behind the starting blocks should stand perfectly still and remain quiet. After each of your races you should dry yourself and put your T-shirt on. Once again, remember to have a drink. Please note that for obvious reasons, glass bottles are not allowed on poolside. Once swimmers have gone onto the poolside, it is very important that they do not leave without informing their Team Manager. There have been occasions where swimmers have left the poolside to go into the spectator gallery and their Team Manager has been unable to find them when they are called for their next race. What is the Percy Mason Memorial Gala? This meet is typical of the type of Open Gala which many clubs across the country host each year. The Meet is advertised on the Warriors Website and in Swimming magazine, and many clubs enter their swimmers for individual events. Swimmers win medals for a top six placing and also earn points for their club. Warriors award a “Best Club Trophy” to the club with the most points, which is returned in time for the following year’s Open Meet. Warriors also give a top girl and top boy award each year to the individual swimmers with the most points. The Warriors Open Meet is called a “Graded” Meet because Warriors set upper time limits on each event. A swimmer whose Personal Best in an event is faster than this limit is not permitted to enter that event. Where can I find out more about Disability Swimming and Warriors? Warriors’ is a disability hub for the North West and we have successfully guided swimmers through the classification process. More information including Warriors policies relating to disability swimming can be found in the Club Documents section of the website. The UKSA's objective is to encourage the development of sustainable, integrated quality sports provision for people with learning disability from grass roots through to elite international opportunities. The British Swimming Site provides a wealth of information about disability swimming including Functional Classification application forms. Active Hy-Tek is an American company who produce sports management software. At Warriors we use their Meet Manager software to run our galas and we publish the results on their Meet Mobile app. We also use their Team Manager software and did use their Business Manager software for running the membership function. 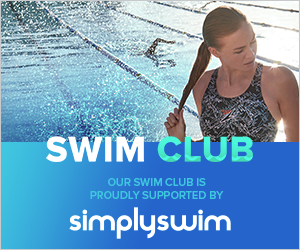 Why has the club invested in the Swim Manager system for membership? The membership function is extremely time consuming and as all committee members are volunteers with jobs and families we were actively looking for a system to reduce this workload. The Swim Manager cloud based system by Active Hy-Tek was deemed to be the best solution. I have a direct debit with LiveWire to pay training fees. Is this affected? No. All LiveWire squads will continue to pay training fees by monthly direct debit to LiveWire. How do I pay on the Swim Portal? Currently only Warriors fees, if manual payment option was selected at registration, Swim England Cat 1 to Cat 2 membership upgrade and new Swim England Cat 3 membership for parents are required to be paid via the Swim Portal. Log on to the Swim Portal and to pay Swim England fees click the Add-on product button, any Warriors fees will appear under Payment Notifications. Can I pay my fees automatically? Yes. When you register you will be given the following options. Pay 25% of Warriors fees plus Swim England membership fee(s) and select automatic payments so the remaining payments are automatically debited from the payment card. Pay 25% of Warriors fees plus Swim England membership fee(s) and select manual payments. The system will automatically email you when fees are due to be paid and you will have to logon to the Swim Portal to make a payment. How do I pay for Swim England (ASA) membership fees? Swim England Membership fees for swimmers are paid when registering to join the club. When a swimmer turns 9 years old they have to pay an increase in fees. This Cat 1 to Cat 2 increase can be paid via the Swim Portal. Parents can also join at any time by selecting the Cat 3 option in the Swim Portal. Why is this better than paying directly into the Warriors bank account? The process of the membership team having to cross reference every payment to the bank account with the membership database was very time consuming. As the committee are all volunteers it was important to reduce the time spent having to check payments. With Swim Manager a report can easily be run to produce a list of what payments have been made. Also experience has shown that when parents dispute what they have paid it is time consuming to retrieve the exact information and can result in protracted disagreements. With Swim Manager each purchase is individually listed so there is total transparency of what has and not been paid. This also means the club can easily chase up poor payers. You can update personal information by logging on to the Swim Portal and clicking on the group name. Please note that names cannot be altered. Please contact membership if you wish to do so. To update your log on information visit active.com and logon to your account. In Account Settings you can change your logon email address and/or password.